There are many reasons to commiserate and sympathise with Britain’s under-appreciated military commanders. Our Armed Forces have been hit hard by cuts ordered from a supposedly friendly Conservative government, our expeditionary capabilities whittled away, our air force a shadow of its former self and our navy temporarily without aircraft carrier capability. And now the government seeks to maintain the illusion of spending 2 percent of GDP on defence by claiming that £1000 worth of toner cartridges for GCHQ count as military spending. This is a shocking record from a government which supporters rightly expect to be strong on Defence. And yet just when the military top brass have our utmost solidarity, a few bad apples go and spoil it by making comments so egregiously offensive to Britain’s parliamentary democracy that they take the breath away in their contempt for the will of the people. Jeremy Corbyn will never come within a country mile of entering 10 Downing Street as Britain’s elected prime minister, God willing. But if the impossible were to happen, it would be as a result of a democratic decision taken by the voters of the United Kingdom. And nothing empowers the military to override the will of the people (ruinous though it may be) or deny them their democratically made choice of government. Well, not quite. 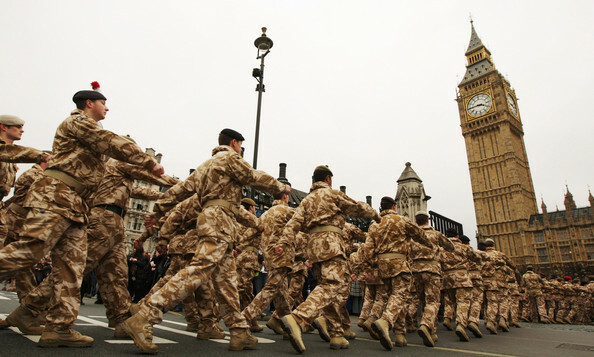 This might be a good time to think about whether we still want our Armed Forces and other uniformed services to make their oaths of loyalty to the Queen, her heirs and successors rather than to something more permanent and dignified – like a flag or a constitution (just a suggestion). But even under our present system, the fact remains that deliberate destabilisation of Her Majesty’s elected British government by the Armed Forces without a direct order from the monarch would be treason, plain and simple. Treasonous, but in that hypothetical sense of peculiar scenarios which will never come to pass. Unless I have missed something, we live in a parliamentary democracy. Indeed, it was only a few days ago the country was honouring those men who made the ultimate sacrifice defending that system of parliamentary democracy. Yet it seems the British military seems to be staffed with senior officers who think it is their right – indeed their duty – to second guess and undermine the elected politicians of the day. Precisely who the hell do these Generals think they are? More pertinently, how did these people become Generals? As we speak, somewhere in the senior echelons of the British military is a man who thinks it’s perfectly acceptable to sit down with a journalist and talk about how the armed services and plotting the overthrow of the elected government. He may be a big mouth. He may be a fantasist. But whoever he is, he’s currently got responsibility for some of the most sophisticated killing machinery on the planet, including a nuclear arsenal. He needs to be found and promptly incarcerated. I don’t like Jeremy Corbyn. I think he’d be a disaster for the country. But if serving Generals feel the same way, if he is elected they can do the honourable thing and step down. Or they can step down now and stand for elected office themselves, to oppose him. Or they can stand down, pick up a laptop, and start writing articles like this. What they can’t do is start channelling their inner General Pinochet. Fortunately, all this talk about “direct action” by the military against a never-gonna-be Prime Minister Jeremy Corbyn amounts to little more than some venting and bragging by one or two senior officials whose intake of wine probably led them to over-estimate their real power and constitutional significance. But still, the comment should never have been made, and we must ensure that one angry voice in the wilderness does not become a growing chorus. In Britain, with no written constitution to protect us and constrain the government or any other arm of the state, hypothetical talk can become surprising reality all too easily – often going unnoticed until it’s too late to oppose (see Edward Snowden’s revelations about the UK’s secret surveillance). And with no Bill of Rights standing between us and tyranny, constant vigilance and sensitivity to overheated remarks by those in positions of power is both important and welcome. Yet if the British people, in their infinite wisdom, look at the policies of a Labour Party led by Jeremy Corbyn and the policies of a Conservative Party led by anyone and choose the former, then a potential military coup will be the least of our concerns. Because it means we will have slid so far down the league tables of great and influential nations that the sight of army tanks on Whitehall would just be the icing on the cake, the final signal to the world that it’s okay to ignore Britain from now on because we have nothing left to offer the world. All of which is to say that it is simply not going to happen. Jeremy Corbyn will never be prime minister of the United Kingdom, and he will never have the opportunity to slash the military yet further or cravenly capitulate to our enemies around the world. 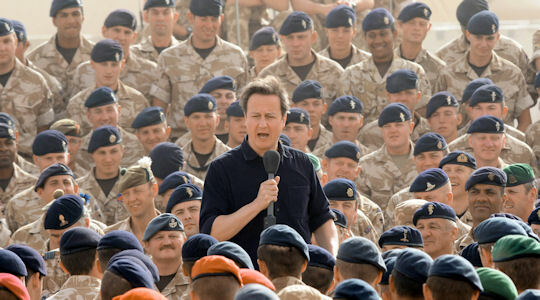 But even if Corbyn were prime minister by some hideous miracle, and even if he fulfilled his promise to drag us all kicking and screaming back to the dark days of the Winter of Discontent, still the Armed Forces should maintain a dignified silence to the bitter end. Because the military does not serve as the ultimate check and balance of our democracy. That role falls to we the people. And if we so thoroughly fail our country by electing a Jeremy Corbyn government, we don’t deserve to be saved by our men and women in uniform.